Are you trying to target more customers that are interested in nautical products? 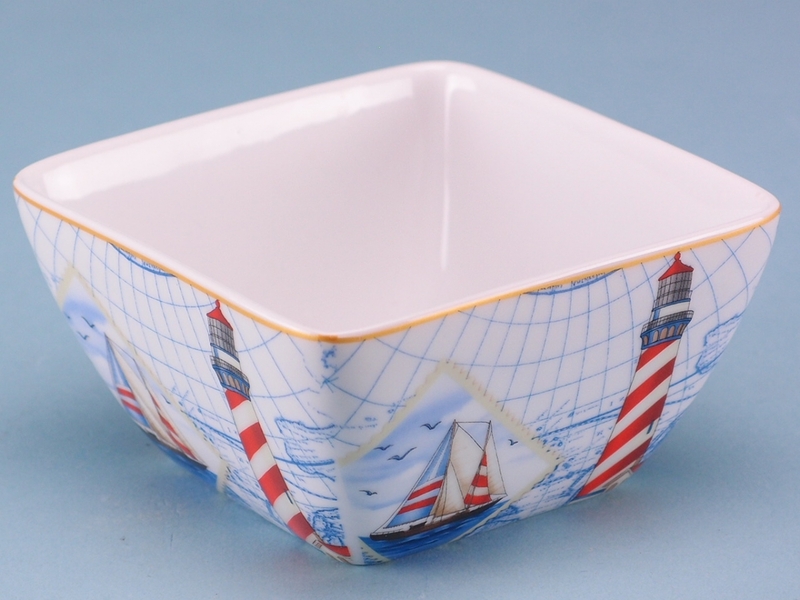 If you are, this Porcelain Nautical Bowl is a must stock product for your store. Skilfully manufactured from porcelain, this bowl has been beautifully painted in a nautical theme, featuring lighthouses and ships on a stamp. Are you trying to target more customers that are interested in nautical products? 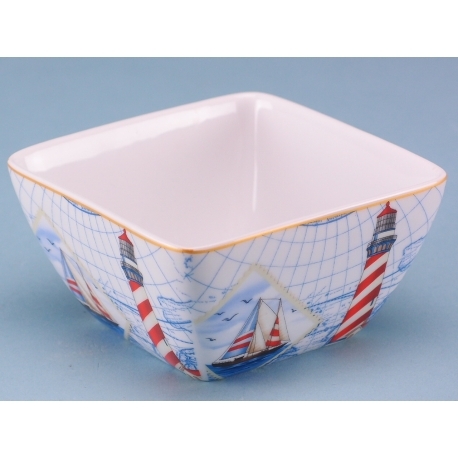 If you are, this Porcelain Nautical Bowl is a must stock product for your store. Bowls are a universally practical product, and as such will always sell well, and this one is no exception. Skilfully manufactured from porcelain, this bowl has been beautifully painted in a nautical theme, featuring lighthouses and ships on a stamp. The design has been painted in exquisite detail, from the windows on the lighthouse to the birds flying above the ships. Measuring 11cm, this nautical bowl will be useful for numerous reasons.